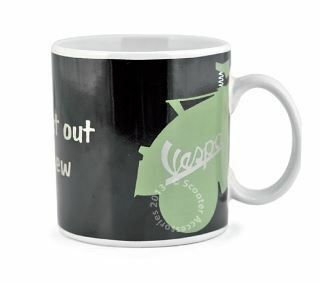 Genuine Vespa keyring with a silver Vespa metal scooter hanging off the ring as well as a Vespa logo embroidered on to polyester webbing. Black with a white logo. 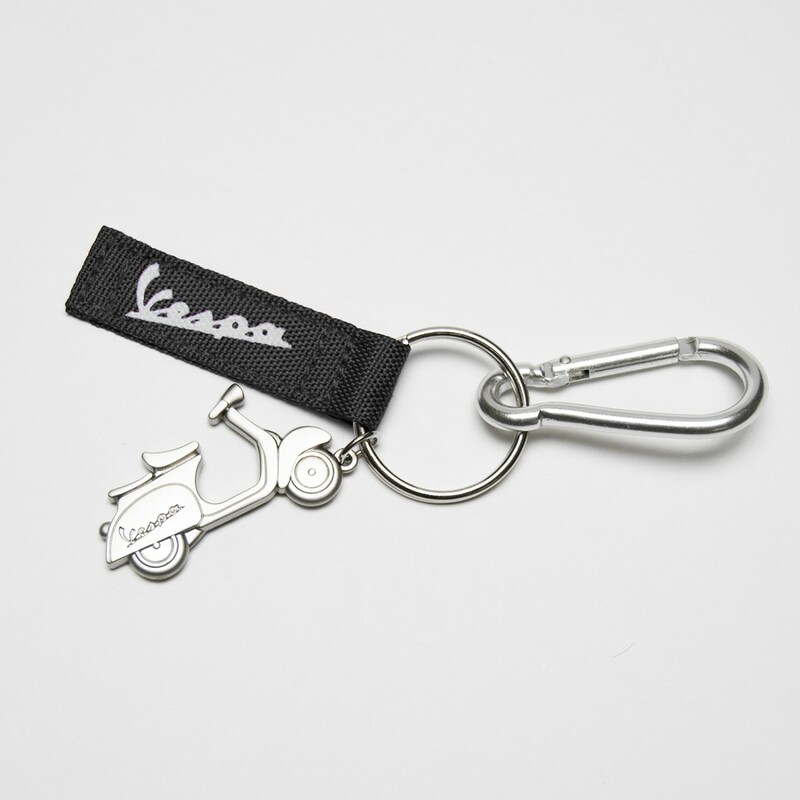 Vespa keyring with a silver metal scooter and webbing with the Vespa logo embroidered.